If your changes don’t get saved, enable “Use API calls when possible” in the settings. - Added Status “pending” to Bulk Edit dialog as it was previously available only in the grid built-in editor for the Status field. - Fixed StockStatus not saving in some cases. 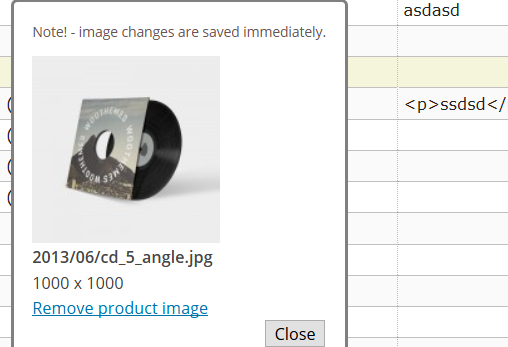 - Fixed not saving the change of Product Type, when option “Use API calls when possible” is enabled. - Fixed an issue with the grid where the current grid changes aren’t commit when the grid loose focus. For example, if you edit a cell and then click “Save Changes” it does nothing as the grid didn’t commit the changes when lost the focus and therefor “Save Changes” doesn’t execute. - Small general bug fixes. - “Use API calls when possible” on by default because latest WordPress does not save some fields using the regular faster method. - Option to call the new API calls when possible. - Optionally revert tags to text handling. - “Convert manually to UTF-8” is now called always and removed from options. - Attributes are now sorted by slug and not by ID. - Easy way to clear applied search filters. - Fixed the publish date not getting saved (in 4.3.4). - New distinctive formatting for variations. - Support for the new on backorder stock status. - Moved wp lister action calls in the woocommerce action. - Updated the headers declaring WooCommerce support. - Better compatibility with Prospress subscriptions. - Added the new headers declaring WooCommerce support. - Function ‘Full View’ added which expands the table to the maximum available height and hides the other controls. - Better sorting of the variations. - UTF-8 encoded slugs are now decoded in the table. - Fixed a bug for custom fields with unsupported characters. - Updated the spanish translation(thanks to Antonio Gutierrez). - Now the product update WebHook is triggered. - Confirmation dialog when active changes exist and the ‘Get Products’ button was clicked. 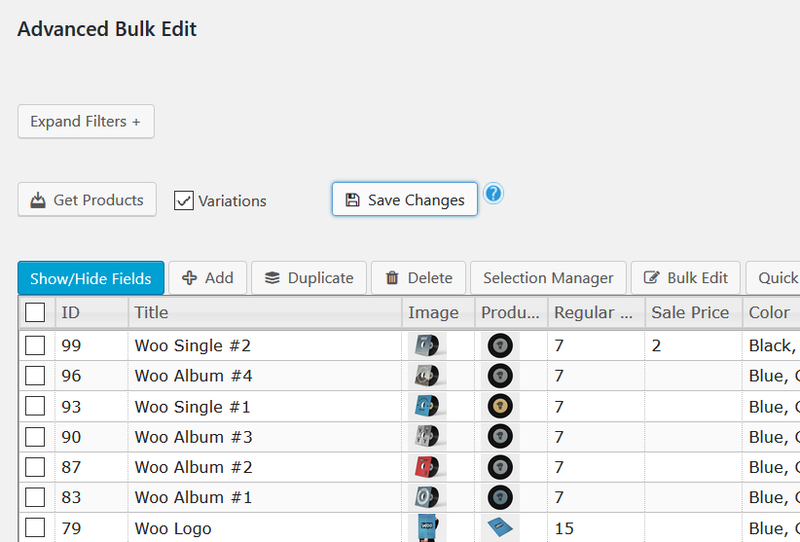 - Support for grouped products for woocommerce >= 3.0.0. - Function ‘Revert selected’ added. - Fixed a php warning when the action calls are enabled (woo >= 3.0.0). 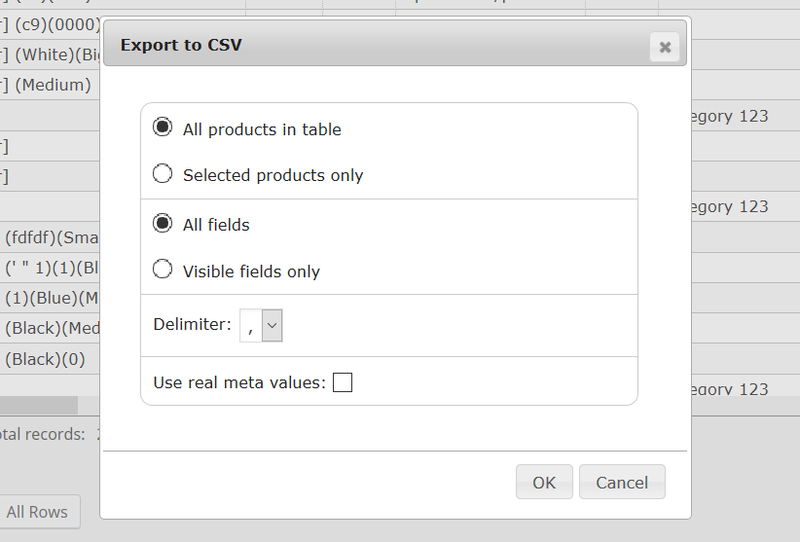 - CSV Update is hidden by default and can be enabled when debug mode is on. - Added actions for better compatibility with third-party plugins. - Allow backorders is explicitly set to ‘not allow’ when creating variations. - Fix for woo > 3.0.0 – variation stock status should not use the new product_visibility taxonomy. – Support for WooCommerce 3.0. Due to technical limitations in the latest version, the stock status filter is removed. 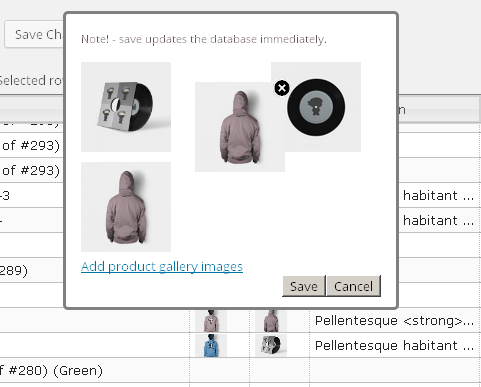 – Update the current product view with a csv file previously exported via the plugin. – Support for custom attributes in the selection manager. – Added option for renaming the attribute name of custom attributes in the bulk dialog. – WPML: product loading now follows the currently selected language. 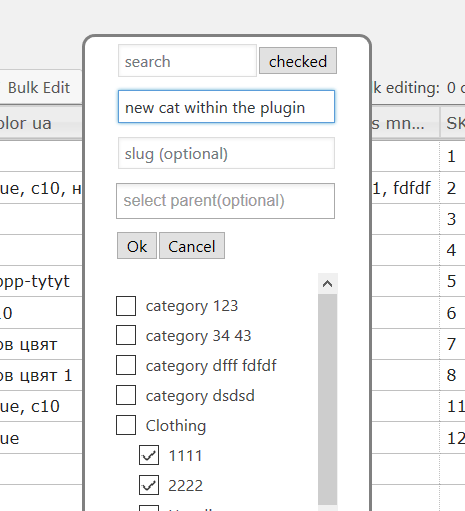 – Tags now support all functions of category and attribute editing(hierarchical taxonomy). – Custom hierarchical taxonomies now support adding of new terms. – Button for automatic discovery of custom fields without a product ID. – Copy image file names to other fields in the bulk dialog. – Cyrillic and turkish titles now generate nice looking english slugs. 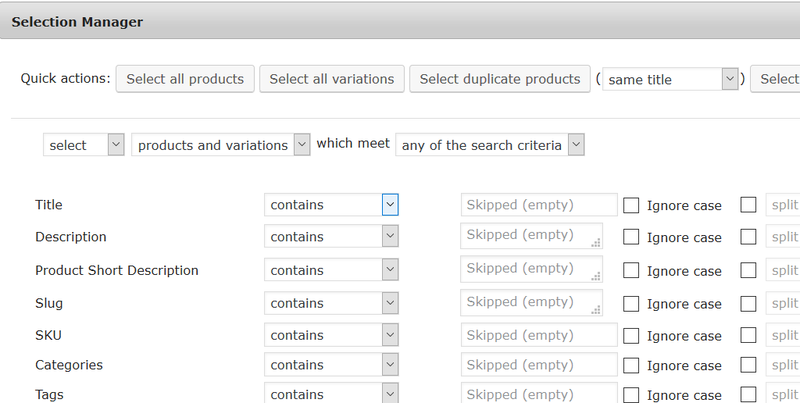 - Support for multiple skus in the search filter(comma separated). - Fix: css issue that prevented the date picker in sale start/end date to get displayed. - Support for new categories and attribute terms within the plugin. 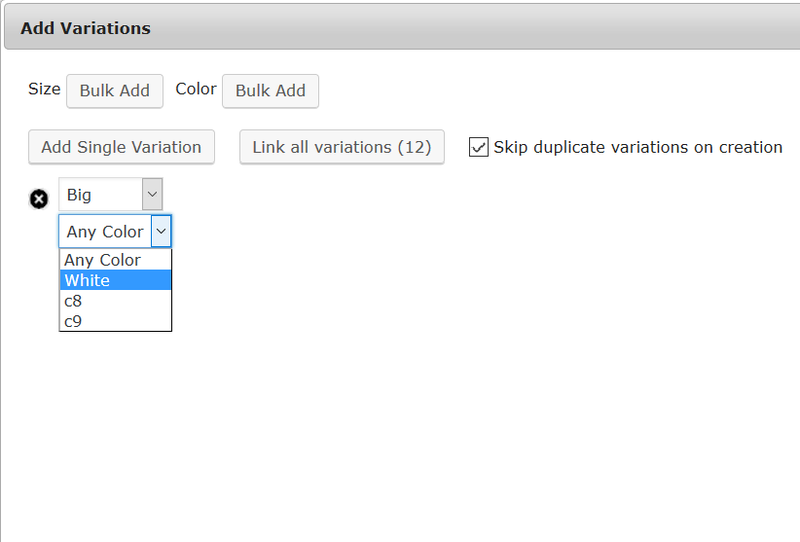 - The bulk variations dialog now supports custom attributes. 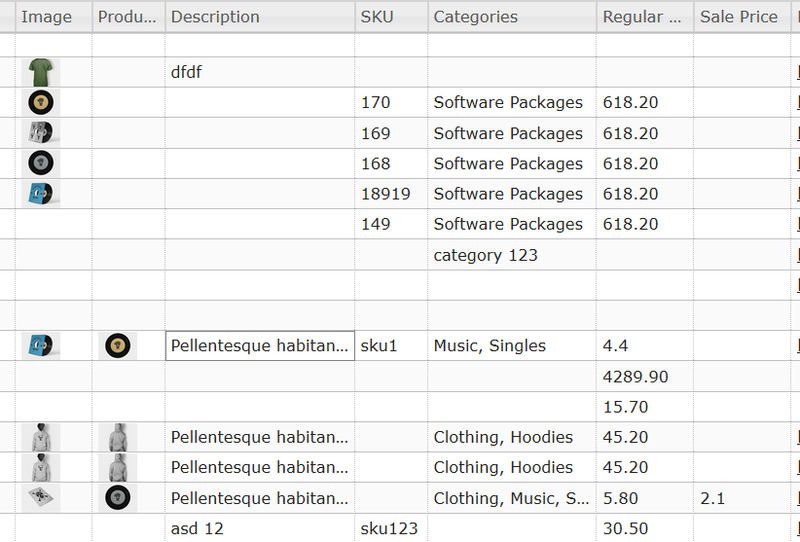 - Added exact option for the title and sku search filters. - Redesigned bulk variations dialog, variations now show only the selected terms plus “link all variations” support. - Revised: new variations create fewer empty keys in the database as in latest woocommerce versions. - Bug fix: html tags were stripped for custom fields on save. - Revised: post author now retrieves only administrators, shop managers and vendors, deleted for variations. - Revised: new installations now save changes in batches of 50 by default. 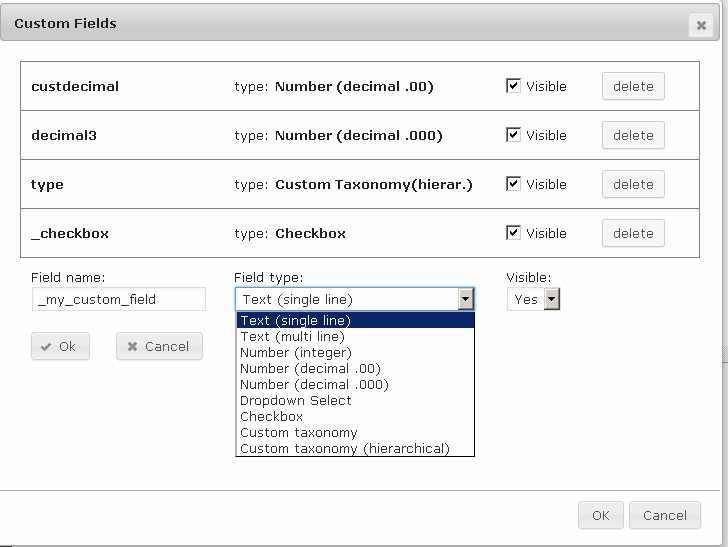 - Name(of the column) support for custom fields. - Support for post_author and product_type added as a search filter. - Attributes with > 2000 terms are automatically disabled for faster page load and can later be individually enabled. Also attributes with > 100 terms are listed for enable/disable. - Deleting is done in batches of 50 to prevent php timeouts. - “Delete images from server/media library” option now enhanced to delete images when permanently deleting products. 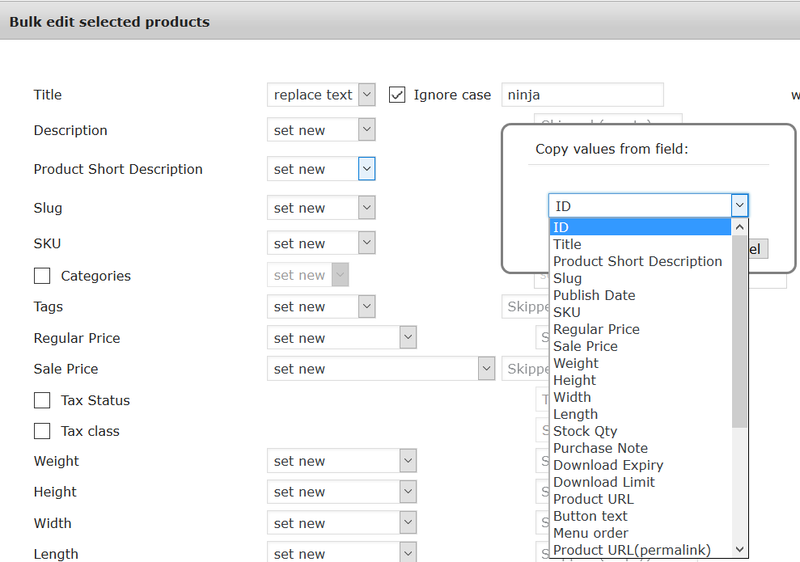 - Hovering a variable product generates a link on the right for quick selection of its variations. - Better support of RTL languages. - Sorting menu order will keep the variations grouped with the parent product.